about the medical literature on dieting. They aren't telling you that diets almost always fail." ~Wendy Oliver-Pyatt, M.D. in her new book FED UP! Dieting has failed us. Dieting preys on our insecurities. Scientific research indicates that dieters only succeed in weight loss 2% of the time. Dieting also leads to a tense and uncomfortable relationship with food. In fact, Diets can in fact encourage eating disorders. In reality, the less I eat, the more weight I seem to gain. Wendy explains why this occurs! I’m a big fan of the Suzanne Somers’ approach because I’m now a believer that it is not really how much you eat, but more the combination of what you eat and when. The only time I’ve ever lost weight and kept it off was when I was eating more food! Imagine that. Personally, I think dieting is depressing and I’m happy to see Wendy saying that diets don’t work. I don’t have time to count all those silly calories and I get so stressed out trying to figure out how much of this, how much of that. I give up in a day. With a diet, you know that all the weight you are trying so hard to get rid of is going to come back as soon as you go back to your regular routine. So it seems you should try to find balance and a healthy lifestyle that includes foods that are good for you and will encourage a healthy approach to eating. There are foods you should be eating to encourage health. Those foods are not discussed in this book. This book deals with eating from a psychological perspective. Why do we allow the diet industry to get rich while we become overweight? Why do we accept our cultural myths about dieting? Is your weight gain related to a medical condition? What effect does cortisol have on your body? Can the stress of being on a diet actually make you gain weight? So, we are still hungry, we crave foods we are told are bad for us and we want to have the perfect figure and the perfect life. Wendy gives us a dose of reality by stating the facts. Our society has presented a pleasing view of an unpleasant situation. Models are unhealthy. The images we see flashing across our screens, in magazines and on every billboard scream “Be like me,” “I’m attractive,” I’m what you want to be.” Yet have you ever heard that some models lay in bed all day because they feel so sick and depressed they have no life besides modeling? I’ve heard these stories. The advertising industry is doing more harm than good all while filling their pockets with our money. They are feeding off our insecurity, our desire to belong and be loved. America is obsessed with beauty. As Wendy points out, “Perfectionism breeds low self-esteem.” The harder we try to become “perfect,” the more “imperfect” we feel. Wendy gives us back a calm sense of control. She encourages the reader to achieve a sense of balance in their life through maintaining a healthy view of life. While she encourages us to evaluate our own lives, she also explains what didn’t work for her and what isn’t working for millions of Americans. She herself struggled with an eating disorder for ten years. 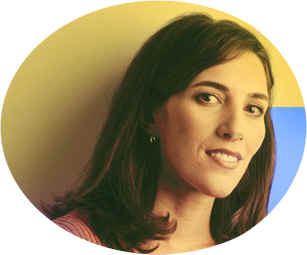 Her purpose in writing “Fed Up!” is to encourage a “nationwide rethinking about whether dieting and maintaining mental lists of so called good and bad foods actually leads to long term health and weight management.” She wants her readers to think seriously about the impact of cultural pressures and the pursuit of unrealistic beauty standards. 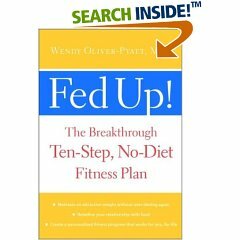 Wendy’s book provides steps you can take to achieve a healthy mind and body. You will become more relaxed in your relationship with food and consider the psychological barriers to health and fitness. Step One: Recognize Your Exhaustion: Is Food Preoccupations Running Your Life? In this chapter, you can take a “Are You Exhausted?” Self-Inventory test. The results may surprise you. In this chapter you will find information on how to calculate your BMI (Body Mass Index). This will help you figure out what weight you should be as opposed to how much you weigh now. With a few simple calculations you will find out if you are actually underweight, a healthy weight or overweight. Step Nine: Redefine Your Life: What’s More Important to You Than Dieting? This is not a book about fancy meal plans, supplements, exercise equipment, foods you should and should not eat. There are no diets in this book! This book is about taking control of your mind and body. Wendy offers advice on how to develop an enjoyable, effective and sustainable fitness program. She also discusses how parents can help prevent eating disorders in their children. while focusing on how to avoid the modern madness of diets. you to control your eating, lose excess pound and maintain your ideal weight. Eli Davidson presents a positive and encouraging message while sharing her wisdom with a sense of wit. Her spunky writing style is completely captivating and there is a sense of authentic happiness throughout the writing. With a sense of determination, Eli Davidson shows you how to revisit the land of you to create the world of your dreams. Are you worried about credit card debt? Does the cycle of dieting drive you insane? Who is that person in your head that sounds like an inner nag? Through coaching business owners and Hollywood insiders, Eli Davidson has learned a lot about what it takes to be successful and the only person standing in the way of anyone's success is basically the same person who can make you trip over yourself. So, with sage advice and lots of wisdom gained from experience, Eli takes you by the hand and leads you out of wherever you don't want to be to a place of your dreams. With her advice you can retrain your brain, play your way to success and face your life with a renewed sense of humor. 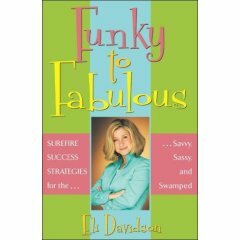 Eli Davidson's refreshing personality infuses the book with sassy style and leaves you feeling like you can take on the world. Read this book this summer and change your life by winter!